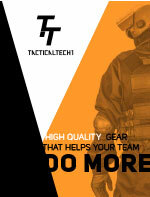 TacticalTECH will gladly provide you with a written quotation with exact shipping amounts and discounts if they apply to you. TacticalTECH has two ways to process quotations. 1. Fill your shopping cart with the items and quantities that you need. 2. At the Payment Screen, Select: "In Store"
This does not create an order. We will create a quotation and will email, fax or call you with the quote.